Our Demo Day takes place on 26.02. from 9 to 14 o'clock. Interested? Click here for more information! Join forces with startups and other corporates to unleash your data potential. It all started with 146 startups from 24 countries. 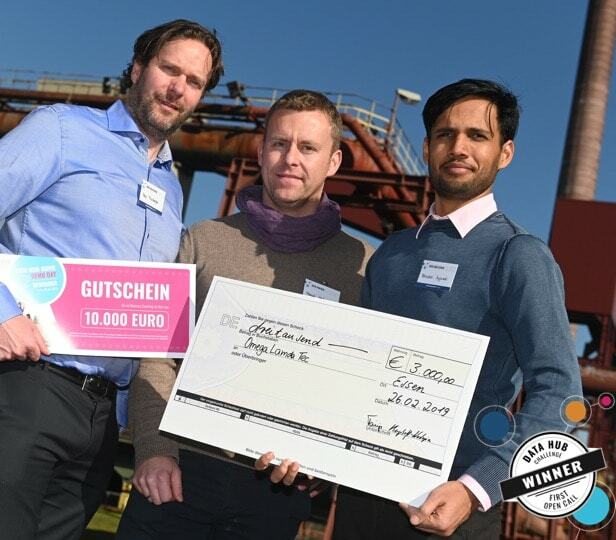 The Data Hub Ruhr Demo Day on 26.02.2019 was the crowning finale of our first Open Call. 5 startups presented together with their partners super exciting results. 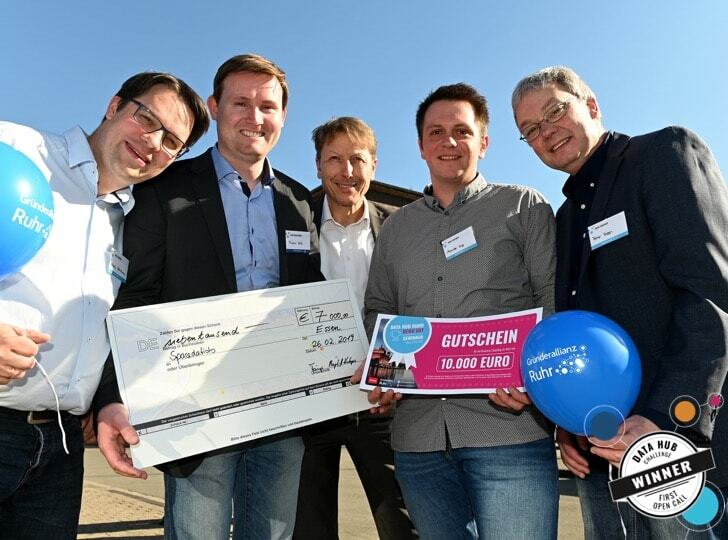 The Spacedatists and OmegaLambdaTec were able convince our jury and to win another investment and business coaching. On 01.06.2019 the Second Open Call will enter the next round. We would be very happy if we could welcome you at our upcoming Open Call. Also here you will find the first two exciting challenges. Data is the most important raw material of the future. The challenge: To turn them into business value. 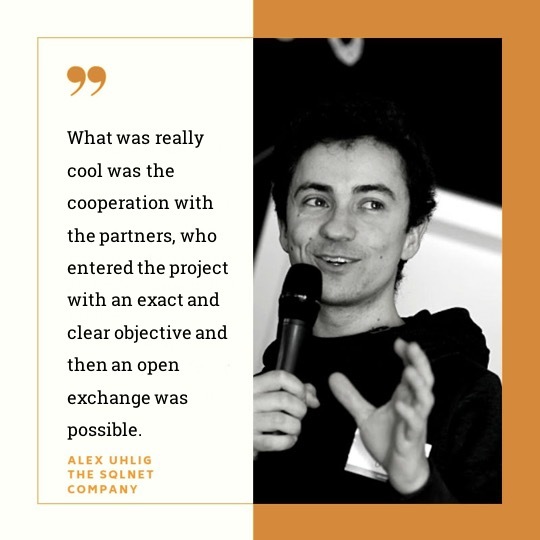 We bring your data together with the right cooperation partners - young international start-ups and other partner companies - and jointly develop concrete use cases to leverage your data potential. Application is open till 31.03.2019 - only 1 slot left. The Data Hub Challenge offers startups access to experienced companies and unique data sets to develop and implement promising data-driven solutions. Intelligent street lighting is an important step to fulfill the promise of a “smart city”. Smart public street lighting adapts to movement by vehicles and pedestrians and dims when no activity is detected. But which locations promise the most impact by new street lighting? Traffic numbers, weather season, population development, traffic law and other factors have to be considered. Your simulation of 16,000 public street lights might help to introduce “smart” in a smart way! Every citizen enjoys a clean and tidy city. Therefore, waste bins are placed in most public areas to encourage people not to litter. Waste collection services collect the waste of those bins on a regular schedule. Currently, their route is often based on personal experience of the driver and minimum distances from one bin to another within a specific area. Other factors such as waste bin capacity, local event calendar, vehicle capacity, time of day or weather are not necessarily considered. Can you optimize routes and help keep our cities clean? We are dedicated to foster data innovation in the B2B and industry world. Join the Data Hub and become part of a strong network. 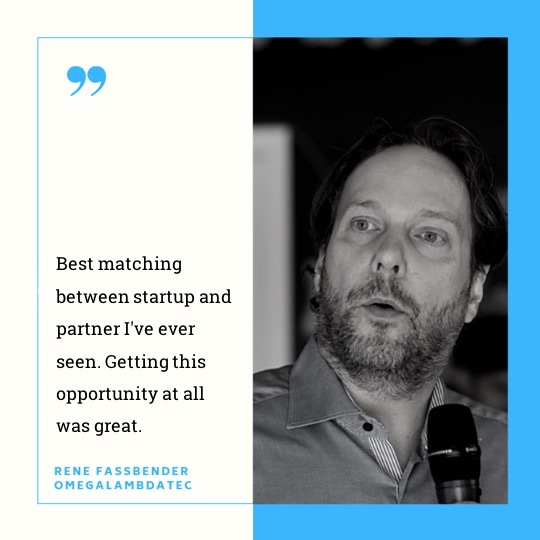 Receive updates on new challenges, present your startup to our growing list of partners, submit a data request, explore the data repository and connect with like minded people on our events.